Homonyms, homophones, and homographs make mastering English difficult, but they are also a fun way to engage students in learning the meaning of different words! Because these words don’t follow normal pronunciation or spelling rules, they are particularly important to explore with students learning English as a second language (ELLs). Using a combination of imagery and voice recording in Wixie is an effective and fun way to help students better remember and cement the meaning of these words. Get students interested in homonyms and homophones by reading Brain P Cleary’s fun story How Much Can a Bare Bear Bear? (ISBN: 1575058243). This story is fun to listen to, but it is also helpful to show students the text so they can see how many ways words can vary in spelling and pronunciation. You can read in small group station rotations, or, if you have a document camera, project the book where everyone can easily see it. The meaning of a homonym, homophone, or homograph group is always different. It is how they are pronounced and how they are spelled that varies. This is a time to learn the meaning, pronunciation, and spelling of homonym, homophone, and homograph, not the difference between these terms. Nonetheless, since you are likely working with a single type at a time, be sure to use the correct terminology with your students. Work as a class to create a list of homonyms, homophones, or homographs. If you are feeling confident and ambitious, create anchor charts for all three types! You can use the fantastic table on this page to identify specific pairs and groups you want your learners to explore. Have students choose a homophone, homograph, or homonym pair/group they want to illustrate. 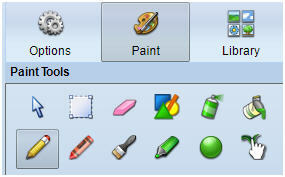 Have students log in to their Wixie accounts and begin a new blank project. Click the Text tool on the toolbar to type the chosen words on opposite sides of the page. Creating illustrations that support the different meanings of these words (dual coding theory) helps all students, and especially ELL's, comprehend and recall their meaning. 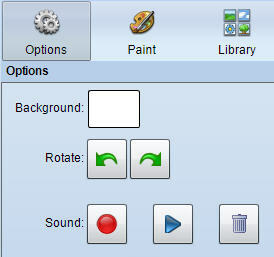 Click the Paint panel and use the paint tools to illustrate the meaning of each word. Click the Library panel to find and add pre-made images. 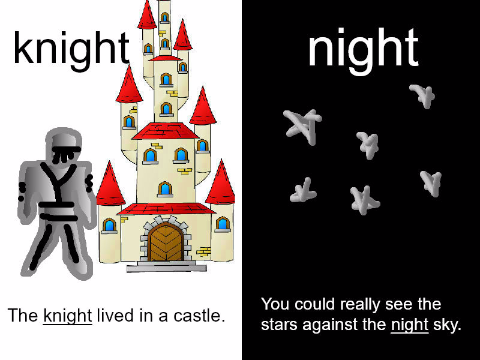 You may also want to have students use the Text tool again to add a sentence that defines each word to support the illustration. If student devices have microphones, click the Record button on the Options panel to read the word or sentence. This is especially important for homographs! Open the file with all of the collected student pages from your teacher account and run as a slide show to review as a class. One final note: Wixie also includes activities in the curriculum library you can use to evaluate which homophones your students understand.You can assign these activities for formative assessment purposes. You can also edit and customize them first with the homophones you have encountered in class for more personalized instruction.